Sam Adams the patriot has a special place in American colonial history, so it’s fitting that Sam Adams beer has such a special place in American craft beer history. 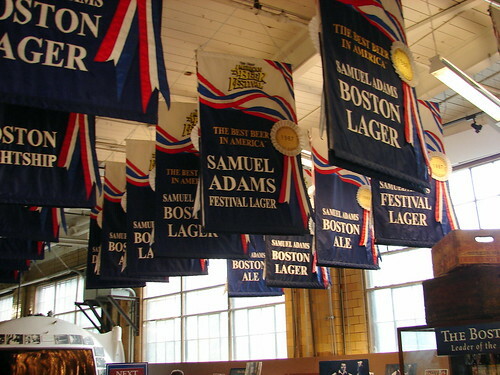 Boston Lager, their signature beer, was first brewed in founder Jim Koch’s kitchen using a recipe passed down from previous generations of Koch family brewers. 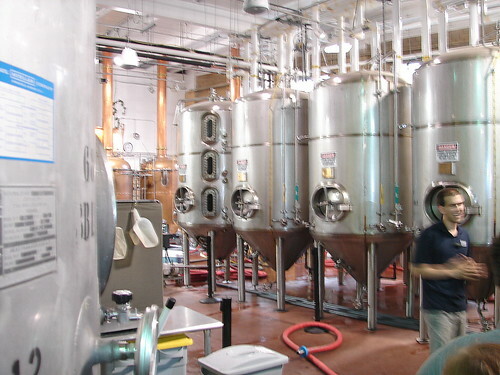 Today it is not only the largest craft brewery in America, after Anheuser-Busch’s sale to InBev, it’s also the largest American owned brewery in the country as well. Sam Adams is actually poised to leave the craft brewery distinction as it continues to expand its operations, but there’s no doubt they’ll still continue to brew great beers. With all of this in mind, and the fact that the brewery is located right in Boston, we felt it was only fitting that Beeriety check the place out. We found it to be fun, educational and full of free beer at the end. Included in the free samples at the end are a taste of Boston Brick Red, a special brew that’s available only on draft in the Boston area, sales of which help fund local charities. We also got to smell, not taste, a bottle of Utopias, Sam Adams’ special 25% alcohol by volume experimental beer, which can retail for almost 200 dollars a bottle and holds the Guinness World Record for strongest beer in the world; it was a real treat. The best part of course is that the whole thing is free. If you’re in the Boston area, do yourself a favor and check out the tour for yourself. 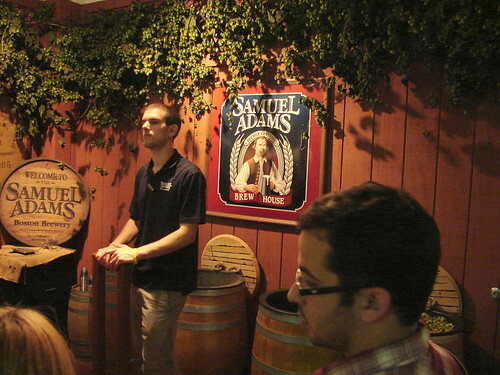 To see more photos of our trip to Sam Adams take a look at our photo set on flickr. 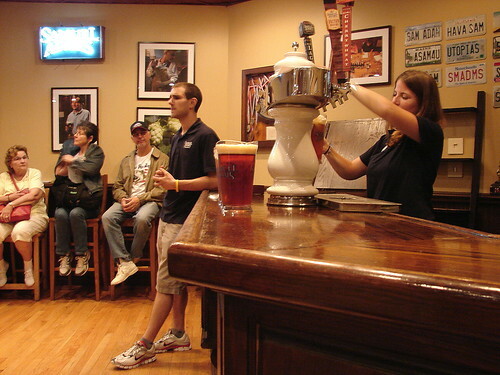 I had the chance to take the Sam Adams brewery tour again this Saturday and it certainly didn't disappoint. We were poured samples of the Boston Lager, Sam Summer and the Boston Brick Red as well. Great recommendation Carleton.